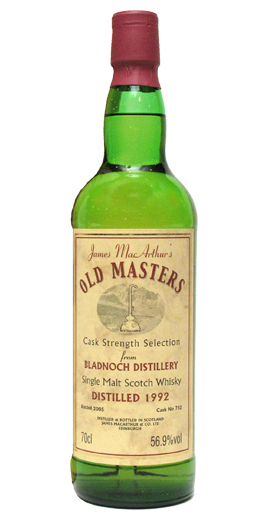 The whisky is from James MacArthur series “Old Masters”. This is cask 752. It is almost like being in the stables. There is lots of barley and hay in the smell. Some hints of rubber and marzipan sweetness as well. Farmers choice! Feels like if I took a handful of barley in the mouth alongside the whisky. Not bad, just extremely barley! The finish got a bit more sweetness, and due to the cask strength it stays for a while. A fun and different type of whisky. Not my favorite, but when it is quality and well balanced, I like it! I will give this 84/100 (20/22/21/21).